Nice little cover of Electrolites in Refinery29! 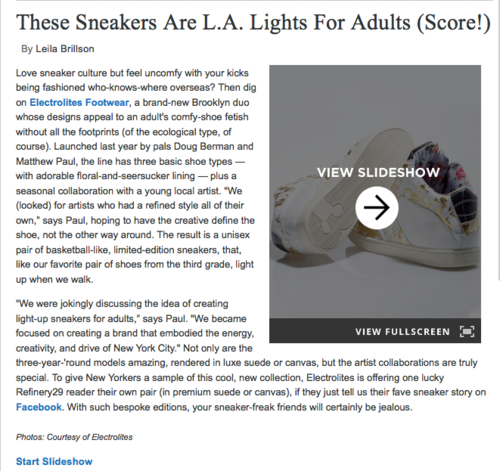 Yesterday Refinery29 ran a little piece on Electrolites Footwear! We’re also giving away a free pair of sneakers to the reader who tells the best sneaker story in the comments section of the story on Refinery29’s Facebook Page!